Last week, GoPro and Red Bull announced their new global partnership. Both the sport action cameras expert and the extreme sports events sponsor have their own footage production branches and have incursioned in stock imagery, and they're teaming up to boost up point-of-view content, distribution and marketing. Although this partnership will not have a direct impact on Red Bull's exclusive distribution deal with microstock agency Shutterstock since last year, it does prove that point-of-view action footage is more and more popular in the market, and that companies are thriving to exploit this niche. GoPro and Red Bull say they have worked together for some time. But under the terms of the new official partnership they expect to improve both companies' global reach and content quality. According to the deal, GoPro will from now on be the exclusive supplier of point-of-view sport action cameras for Red Bull-produced footage. Both companies will share copyright to new content they'll develop together, distribute their existing material across their digital platforms and join efforts for product innovation. The sport camera expert will have access to Red Bull's network of over 1800 international sports events. And Red Bull will get shares in GoPro too. 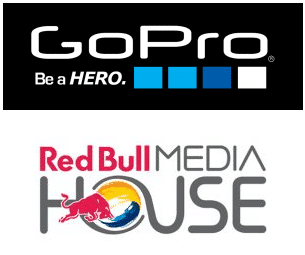 Both Red Bull and GoPro have taken over to media producing in the past years. They both have a large range of media channels where they share their content, and their own media licensing platforms. GoPro is the developer of the best action camera. In July 2015 they launched a stand-alone marketplace for GoPro-shot imagery. Red Bull has their portal, Red Bull Content Pool, since years, but last year they also incursioned in stock footage, by partnering with Shutterstock to bring footage from their Red Bull Media House production brand to be exclusively sold at Shutterstock's platform. By joinning strengths, these two big brands expect to boost up the quality and global reach of their content and products. De rick Rhodes, Director of Footage Marketing at Shutterstock, explained us that the new GoPro deal doesn't have any direct impact in Shutterstock's licensing of Red Bull Media House footage. 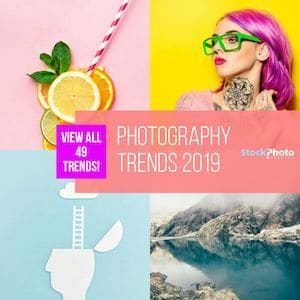 He said the microstock company is pleased to learn about this new partnership, particularly since point-of-view content is increasingly captured using GoPro cameras, and pointed that point-of-view footage is highly popular at Shutterstock. If you're looking for great action/sports stock footage, buy Red Bull Media House footage (majority of them shot with GoPro camera) at Shutterstock! 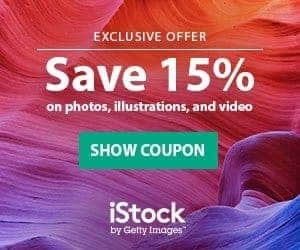 And don't forget to grab our Shutterstock Coupon Code and save more money!